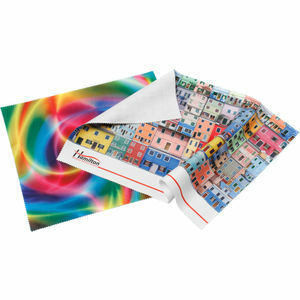 Lens cloth with a soft cling base. Can be used as a screen cleaner protector and mouse mat all in one. Decorated by dye sublimation for full colour results.